A special “Human Face of Sustainability” issue, the quarterly magazine Creative Nonfiction, in association with Arizona State University’s Global Institute of Sustainability, are looking for essays that illuminate environmental, economic, ethical and/or social challenges related to the state of the planet and our future. A cash prize of $10,000 will be awarded for the best essay, and selected essays will be published in Creative Nonfiction #51 (early 2014), and an expanded book version will be published in Spring 2014. All submissions received before May 31, 2013, will be considered for both the magazine and the book. 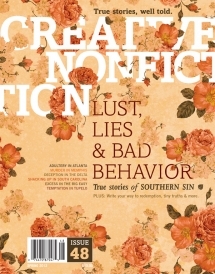 The full call for submissions can be found on the Creative Nonfiction website: https://www.creativenonfiction.org/sustainability.